Enter your email address, invoice number, payment amount and card details below. Please check you have entered the full 'TOTAL DUE' and the invoice number from the top right of the invoice. An incorrect invoice number or under/overpayment may cause a delay to your order. The red ellipses show where to find your invoice number and total amount due. By submitting this payment you are agree to our standard terms and conditions. 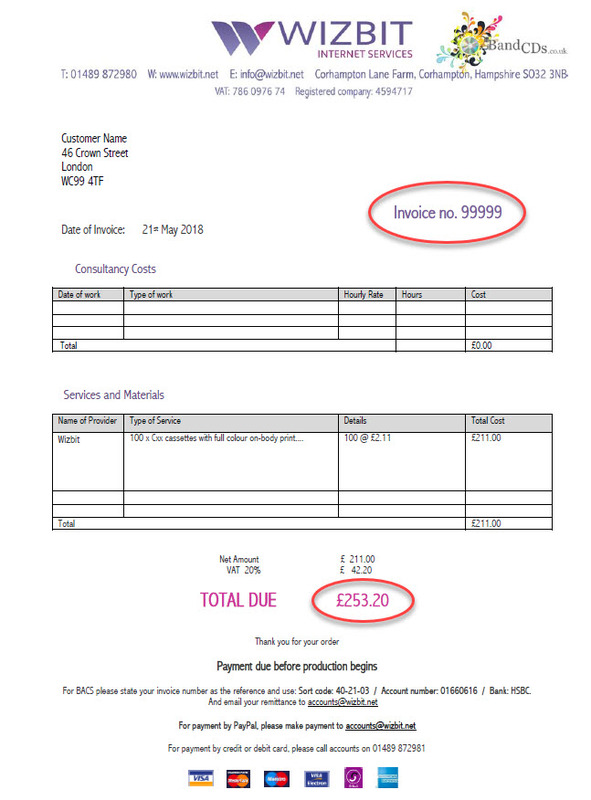 Your card will show a charge from "Band CDs Invoice "